My boys were super excited when I whipped up these little pastries after dinner last night. They were very easy to make and perfect for a summer night. I just took puff pastry shells and baked according to the directions. Then I filled them with a soft,spreadable cheese that I added a little honey to for a touch of sweetness. 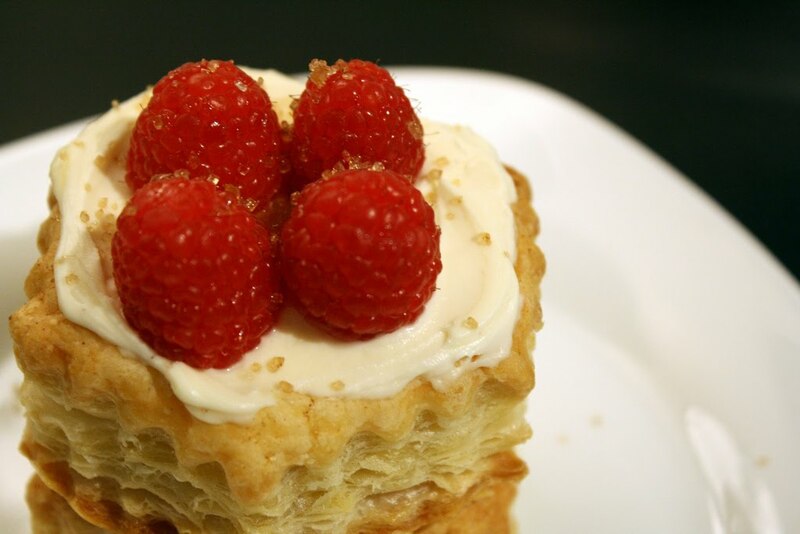 Topped with fresh raspberries and a little sprinkle of natural sugar.